Copyright on this website is owned by Snapshot Press, unless otherwise indicated. The content of this website is intended to give general information on the publishing activities of Snapshot Press. Snapshot Press can not and does not guarantee that this information is current, comprehensive or complete. This website contains links to a number of websites. 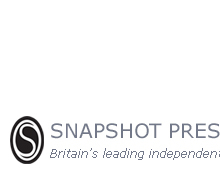 Snapshot Press may not have developed or reviewed the contents of these websites and does not accept any responsibility or liability for the contents of these sites. Should you use a link from the Snapshot Press website to any other website you do so entirely at your own risk. Copyright on poetry included on this site is owned by the individual authors (or, in the case of deceased authors, their next of kin, agent, or literary executor), unless otherwise indicated. However, please note that all rights are reserved by Snapshot Press on work published in our titles. No part of the work may be reproduced, stored in a retrieval system, or transmitted in any form or by any means, electronic, mechanical, photocopying, recording or otherwise, without the prior written permission of the publisher. Requests to reprint work from Snapshot Press titles (including poetry featured on this site) must be made in writing to the address on the Contact Us page, or by email to info AT snapshotpress.co.uk. Copyright on the cover artwork of all Snapshot Press titles, as depicted on this site, is owned by Snapshot Press, unless otherwise indicated. Requests to represent cover artwork in print or on the Internet should be sent by email to info AT snapshotpress.co.uk. Image files optimized for specific use will be provided on request.